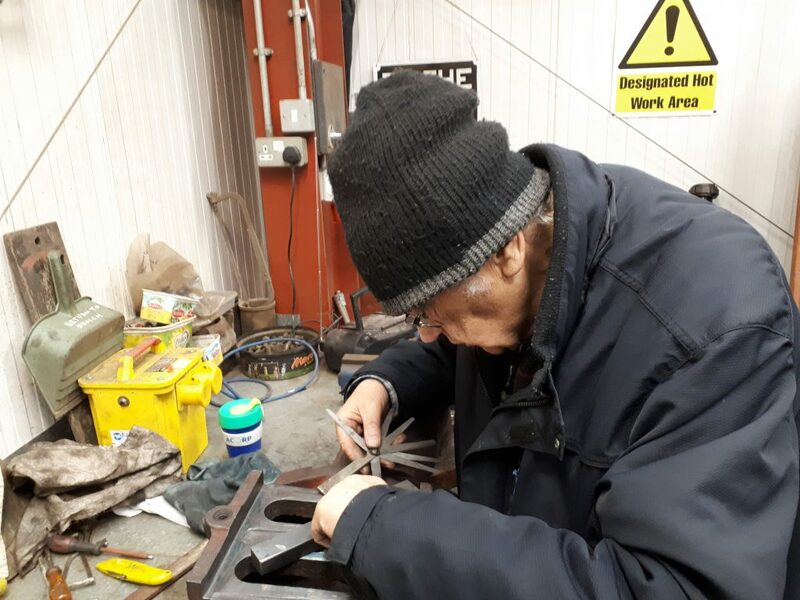 Work continues on preparing the Trust’s two current operational locomotives for the forthcoming operating season. 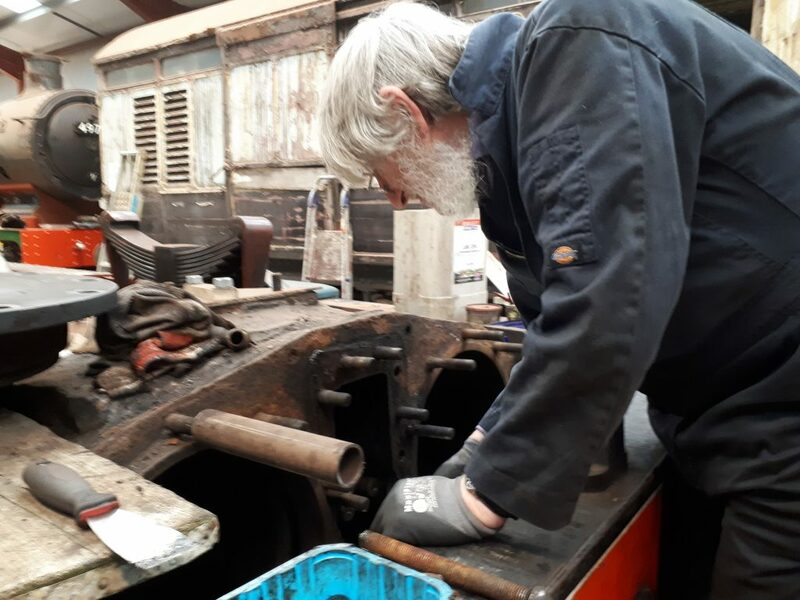 Bob and Tim spent last Wednesday and Friday with their noses literally to the grindstone as they strove to face up Cumbria‘s regulator valve with the ‘J’ pipe. Howard, with John Davis as apprentice, ran the surface grinder over the steel plate that had previously been cut by Keith to enable carborundum paste to be applied to the surfaces, having detected a bow in it. Bob is seen applying his feeler gauge to check test progress. By the end of Friday both the regulator valve and the ‘J’ pipe were deemed to be in much better shape although further work will be required this next week. In view of time pressures, Tim spent another day on the job today. The spruce up of Cumbria has also continued apace, led by John Dixon and assisted by Phil Bell and Phil Scales. The running board is receiving a rub down with a view to giving it a fresh coat of black paint in the near future. Turning to our other operational loco, Keith and Fred went to Embsay on Saturday to undertake a washout on 5643. Keith’s description of the weather is unprintable here, for both he and Fred got soaked to the skin. Fortunately, after having put the loco back into one piece, a fire was lit on Sunday and, at relatively low pressure, the newly fitted stays appeared satisfactory. 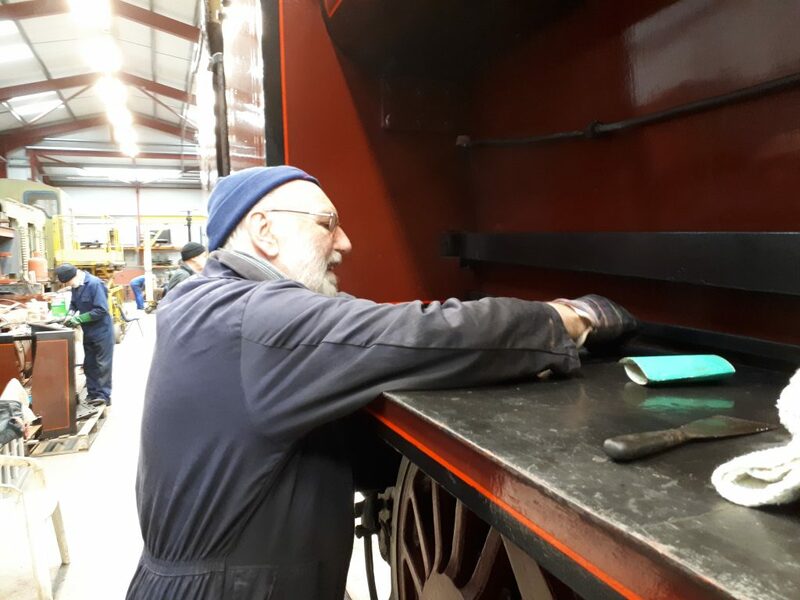 Keith plans a further visit on Thursday to complete the fitting of firebox cladding before returning at the weekend to undertake a full steam test. Adrian was been busy on FR 20’s heavy general overhaul on Wednesday where he removed the valve chest cover and split the right hand piston rod from the cross head. Ade has his eyes on splitting the left hand rod and cross head next week. This will then enable the pistons to be extracted for the piston rings to be changed. Alan is seen here on Friday inspecting the results of Ade’s endeavours. Roger spent more time cleaning, in this case up FR 20’s drawhook spring. 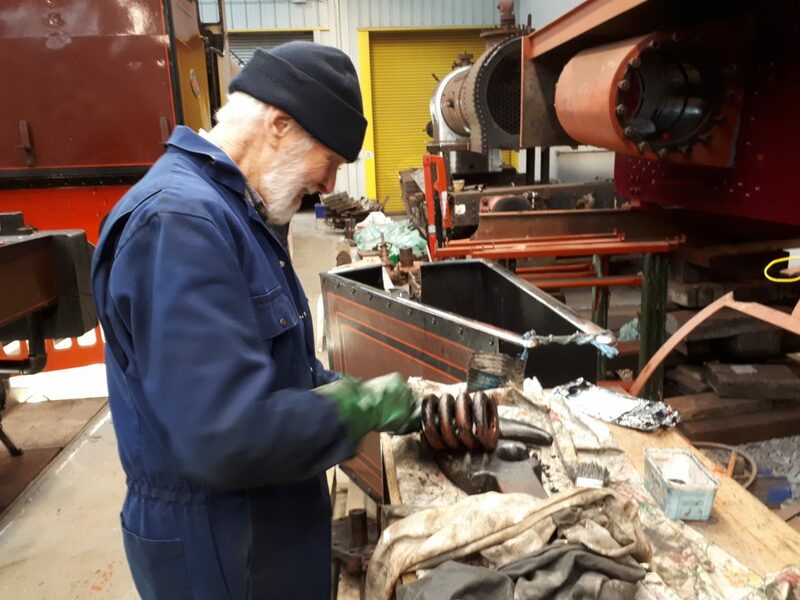 Keith has, as expected, been busy with Wootton Hall where he has connected up the rear vacuum pipe on the tender. 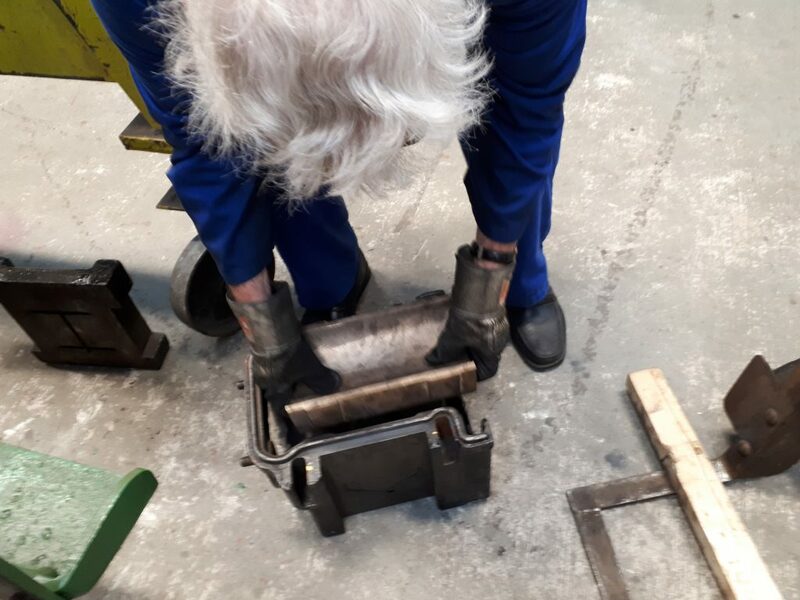 Bill Norcross has started the machining of the new axlebox brasses and completed the first successful fitting into an axlebox on Friday.